Today I attended the FSB Awards. The Federation of Small Business is a membership organisation whose mission is to help smaller businesses achieve their ambitions. 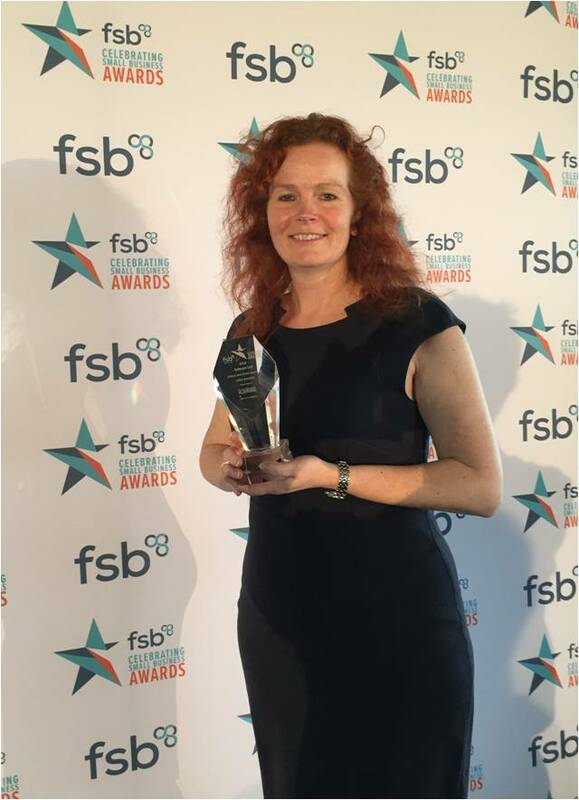 The FSB runs a national awards scheme, with regional events for the 12 awards categories. 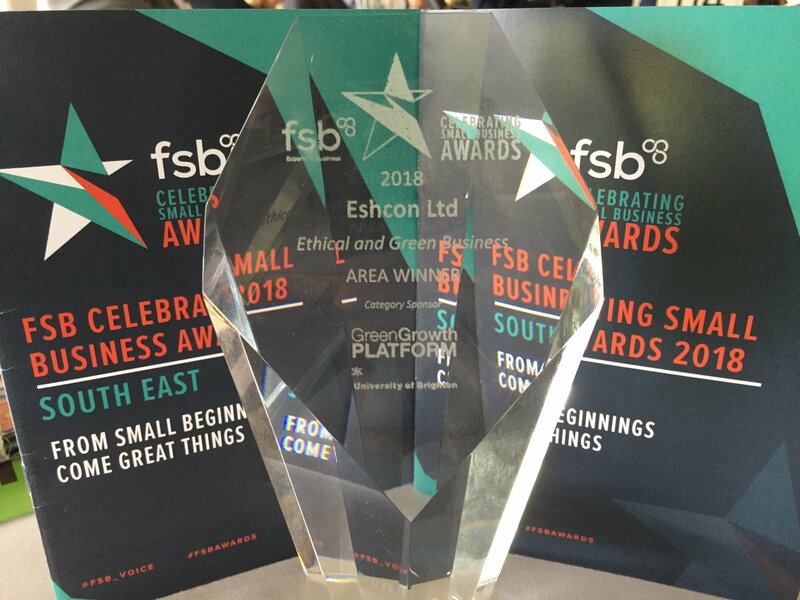 Eshcon was shortlisted in the South East as a finalist for the Ethical – Green Business of the Year Award, which was sponsored by the University of Brighton’s Green Growth Platform. Genuine Solutions Group – distributor of mobile phone accessories. I am thrilled to say that I was successful & crowned the Green Business of the Year. My application explained how I manage my own company’s impacts & costs, e.g. Eshcon has reduced its carbon emissions by 40%, & how I support other organisations, such as Gatwick Diamond Business, the Sussex Community Foundation & the University of Sussex. Plus the work I do with my clients, their reductions & successes.  I have helped businesses large & small reduce their energy & carbon emissions, water & waste; I have put in Environmental Management Systems & helped them successfully certify to ISO 14001; I support my clients throughout their project, so they get the results they want & the best out of it – learning, doing, achieving. This is how I deliver my mission to make environmental management the business norm. And I love what I do! I have judged various business awards for many years, but this is the first time I was able to apply for an award for my own company. I’m so grateful for the recognition of the work I do with my clients & partners.